The cost of properly serving and delighting customers is high and those costs have to be figured into margins. Likewise, promotional suppliers have to rip-out every cost possible. Nordstrom’s cost of business is higher than Walmart’s margins. Walmart takes every possible cost out of its distribution channel. You must do the same if you are a promotional/coach store. On the other hand, Nordstrom earns better margins because they serve the customer in a manner unlike any other mass department store and they offer “something special.” The importance of this is paramount in the floor covering industry where everyone sells the same products. What do you do that is special? Most floor covering retailers define service as their differentiator, believing service is what makes them special and why consumers should do business with them. Remember this: service is subjective and, therefore, can never be a differentiator. My experience is that most store owners see their staff as a group of nice people who like to help customers find a product that fits their needs. Perhaps that is one of the things that makes the floor covering industry so special – it’s full of genuinely nice people. Here’s the rub; nice people in the floor covering industry do not drive floor covering sales anymore than nice people on your show room floor create a high level of service. It may be easier when there is a desire and an aptitude to serve customers. However, that does not translate into good service any more than my desire and aptitude to succeed in the yachting industry manifests into being a boat captain. As a sidebar, the yachting industry suffers from the same coach to concierge dilemma as the flooring industry. We are not alone. 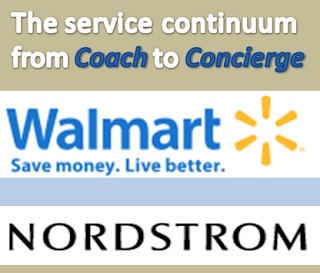 Floor covering specialty stores will need to make a conscious decision whether to move up to a concierge service level or to become a coach. The most successful floor covering retailers over the last several years have been those that chose to be a coach; Lumber Liquidators, Home Depot, Lowe’s, Big Bob’s. A good friend of mine tells me that his Big Bob’s Outlet stores are more profitable than his buying group branded stores. It seems most specialty floor covering stores claim to be high service but they can’t afford to do “something special.” Lack of margin creates an inability to offer “something special” which begets no reason for your existence. On two separate occasions last week I happily spent $20 per drink with my family – $160 for two rounds. The proprietors each charged about 10 times what it would cost down the street by creating wonderful environments and adding value with “something special.” You can do the same when you decide to become customer focused. Glad to see you share this insight. My organization roomsalive held an advisory board meeting last month with flooring retailers from across the U.S. The idea of marketing to luxury consumers was discussed at length because this group, although a minority, spend a disproportionate percentage of the total home furnishings market. You're right; the affluent are responsible for 50% of the retail spend in USA. Companies can't ignore the obvious. 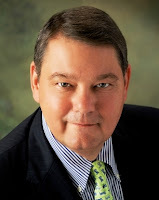 I can help you and your company penetrate the affluent market. Perhaps we should talk.